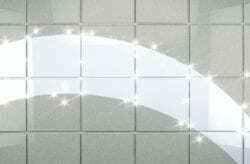 Tile Cleaning Boca Raton | Grout Cleaning Boca Raton | Grout Plus Inc. While many home and business owners appreciate the aesthetic appeal and durability of tile surfaces for floors and other surfaces, they can become dingy and dirty if care is not taken to subject them to regular cleaning and brightening techniques. 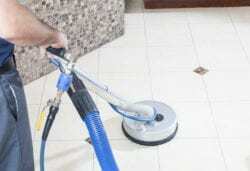 Are you looking for tile cleaning in Boca Raton? Do you need the services of professional tile cleaners in the Boca Raton area? 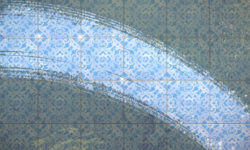 Grout Plus has the professional expertise to take care of your tile and grout cleaning needs. For anyone who is in need of commercial or residential tiling and grout clean-up and restoration services in or near Wellington, FL, you can depend on the knowledge and experience offered by Grout Plus. Our service area also includes Boca, Port St Lucie, and Coconut Creek. Grout is known as a very porous material that can become a breeding ground for many types of bacteria, as well as mildew and mold. The restoration products which we use in our bathrooms, flooring and grout projects are proprietary and cannot be found in stores. The product is designed to permanently re-color and to protect the lines of grout which can detract from the appearance of your tiled floors. For more than a decade, the Grout Plus products have been shown to hold up well in regular use. Our products and techniques will ensure that your tiled floors look more attractive than when they were new. They will resist stains, and be much easier to clean. Our reliable methods and products also extend to marble floors. 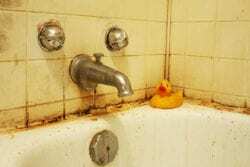 While these surfaces are beautiful and highly prized for their durability and aesthetic appeal, they don’t look so attractive when they become dingy or dirty. They can also be subject to stains. The products and techniques utilized for marble floors can also be applicable to granite or other natural stones. When the natural stones become damaged and dull, our techniques and products will restore your stone surfaces to the original beauty, thanks to the durable sealants which are applied after cleaning. The company is a family owned and operated firm which has been in business in South Florida for more than a decade. The products we use when bringing your natural stone, tiles or Mexican tile surfaces back to their original beauty are safe and long-lasting. If you are looking for the most trusted and professional grout cleaning in Boca Raton, check out our services and products. Call (561) 753-7090 today for a free estimate!